Featuring An Anderson Machine Pistol Caliber Upper Receiver. 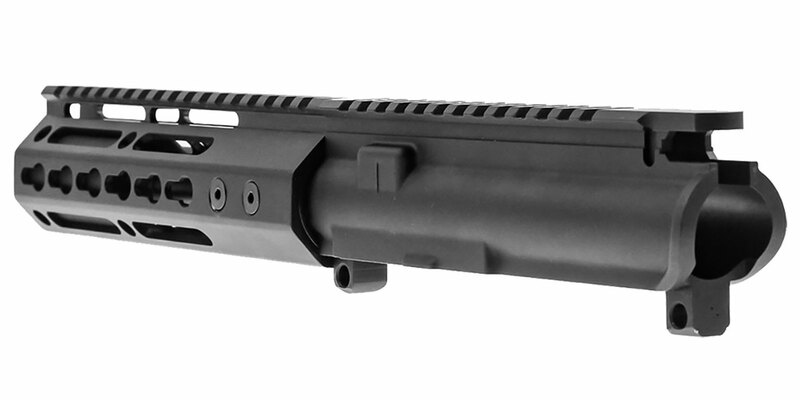 This Is The Ideal Upper Receiver For Pistol Caliber Builds As It Has No Dust Door Or Forward Assist. 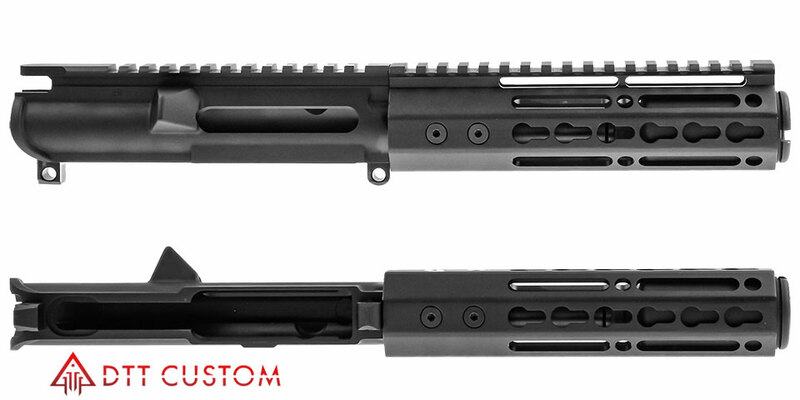 This Upper Is Made From 7075 T6 Forged Aluminum, Making It A Very High Quality & Strong Upper Receiver. 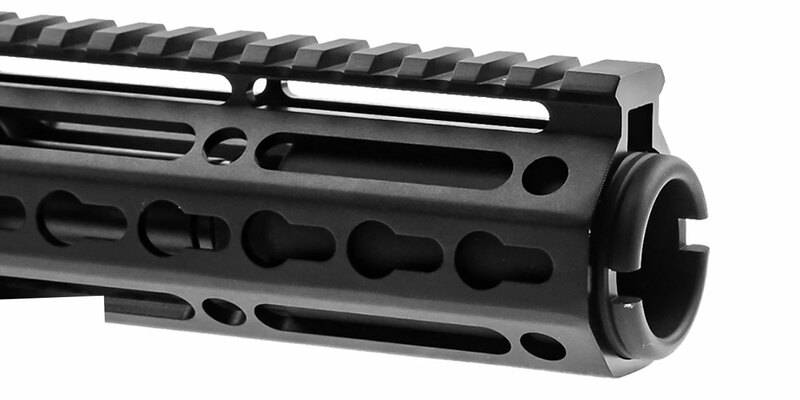 Featuring A Trinity Force 7" Professional KeyMod Super Slim 6061 T6 Aluminum Handguard. 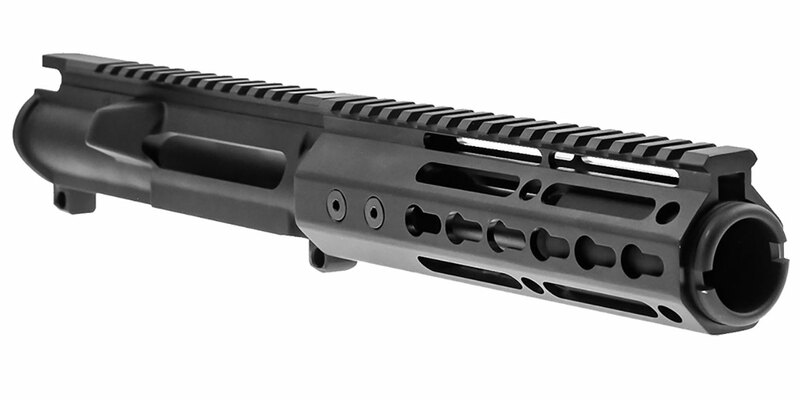 This Handguard Allows You To Comfortably Grip Your Rifle In A Variety Of Shooting Positions And Securely Mount A Variety Of Accessories. KAK Industry Flashcan. This Made In The USA Muzzle Device Is Made From Solid 6061 Aluminum Device That Is Designed To Direct Muzzle Gases And The Muzzle Flash Forward. Threaded 1/2-36 For 9mm Or Similar Weapons, Black Military Type Hard Anodizing, This Device Is Designed To Direct Gasses And Noise Forward Away From The Shooter And Enhance The Weapons Appearance.